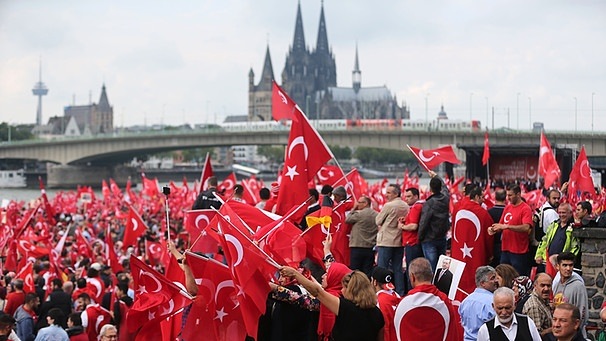 The German province of North Rhine-Westphalia’s (NRW) Interior Minister Herbert Reul said Turkish intelligence service (MIT) have been collecting information about the opponents of the government of Turkey in the region. German media said on Thursday that Reul underlined in a recent parliamentary report that MIT collects systematic information about alleged government opponents on behalf of Ankara. MIT’s data-collecting targets mostly opposition parties, Kurdish groups and, above all, supposed supporters of the Gülen movement, Reul said. At least 173 persons and about 40 institutions and foundations in NRW, which the Turkish government believes linked with the Gülen group, are under MIT’s surveillance, according to the Reul’s report. Germany’s Federal Office for the Protection of the Constitution (BfV) said in July, this year that Turkey is among the countries that have increased spying activities in Germany. Turkey survived a military coup attempt on July 15 that killed over 240 people and wounded more than a thousand others. Following the failed putsch, President Recep Tayyip Erdoğan blamed the Gulen movement, a claim which the group denies. The government’s post-coup emergency rule has not discriminated against any group critical of Erdogan in and outside Turkey with Kurdish minority, liberals, Gulenists and many other opposition circles victimized over broadened terror charges.